Do you remember the first time you learned about HIV/AIDs? What about Ebola? Both frightening diseases, both highly infectious. There are few people in the world that know these diseases – discovered them, in fact – more intimately than Dr. Peter Piot. Piot’s career has indeed been exceptional. He co-discovered the Ebola virus in Zaire in 1976 and was part of the first international project on AIDS in Africa in the 1980s. In fact, he is widely acknowledged as having provided the foundations of our understanding of HIV infection in Africa. He has led the International AIDS Society and was assistant director of the World Health Organization‘s Global Program on HIV/AIDS. He was appointed Executive Director of the Joint United Nations Program on HIV/AIDS (UNAIDS) and Assistant-Secretary-General of the United Nations. In 1995, Piot was made a Baron by King Albert II of Belgium. He became the director of the London School of Hygiene and Tropical Medicine in September 2010. 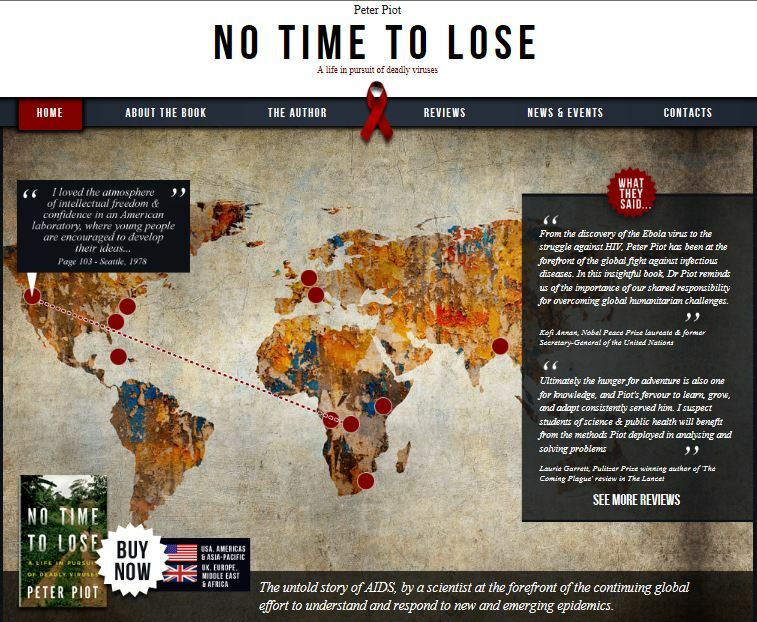 In Piot’s new book, No Time to Lose: A Life in Pursuit of Deadly Viruses, he tells the largely unknown story of the discovery of AIDs, and the innovations that were essential parts of responding to that, and many other, global epidemics. Today, Piot shares how innovation and collaboration in the world of medicine and infectious disease can be translated into any field – especially education. I’m not sure they have, unless it is helping educate people that working together we can tackle seemingly impossible challenges. The forces of inertia and denial are powerful, and even to begin to control the spread of AIDS and get access to affordable medication for the world’s poorest people, we had to work very hard to build coalitions for change locally and globally. I don’t know if this counts as innovation, but I think it is important. All situations are unique and while we must learn lessons from history, we can’t be like the generals trying to fight past battles. We have to understand what is really happening on the ground, whether it is a new and frightening disease like Ebola or AIDS, or a political situation like I faced at the UN. Equally important is to stick to your goals, even as you vary your methods, and to keep going however tough it gets. My experience has taught me that it takes a lot of energy and dedication to build coalitions that actually get things done at the scale that is needed. Not really, but working in hospitals and clinics in Africa and South Asia, we often had to improvise with simple technology, for example handling and processing samples and keeping equipment clean. In dealing with the Ebola outbreak in 1976, we collected hundreds of blood samples from people in villages deep in the rainforest. With AIDS, it was a huge challenge to maintain HIV-free blood banks. The development of computer modeling and GIS (Graphic Information Systems) have enabled huge advances in epidemiology and monitoring of infectious disease, while new techniques have revealed the genomic and protein mechanisms of disease organisms and their hosts. Many of my colleagues at the London School of Hygiene & Tropical Medicine are world experts in these and related fields. In my experience the greatest obstacles are cultural – and children’s educational prospects are greatly shaped by the expectations of their teachers, families and communities. All over the world, socio-economic divisions are exacerbated by inequalities entrenched in school systems. But health is also very important, and chronic disease holds many students and families back. What is your region doing right to support education? In Europe, there is generally good basic schooling, especially at primary school. In the UK, the government is trying to recruit and retain more good math and science teachers, and this is very important. There are some worrying trends in higher education, especially the new student finance system that means students will end up paying more in the future. Immigration restrictions are also damaging, and the government needs to recognize that free movement is vital to sustain world-leading research and higher education. b) Be persistent and never give up in pursuit of your goals. c) Proceed carefully, one step at a time, and don’t get ahead of yourself. The web and mobile communications are continuing to transform the way we all live, work and learn. Students today have access to more information than we could ever dream of – a global encyclopedia at the click of a mouse. The challenge is to understand what is important, make connections, draw the right conclusions and act upon them. Online educational tools are creating new modes of learning. Here at the London School of Hygiene & Tropical Medicine, distance learning has expanded massively. Today over 70% of our 4,000 students study by distance learning. Many of them work full-time and study in the evening and at weekends via web and email exchange with their professors, tutors and ‘classmates’, who live all over the world. I suppose it would have to be a web-enabled mobile device of some kind, but to be of use to children in the developing world it would need to be cheap, rugged and run on solar power – and help them with health and nutrition, too. It might not have been invented yet, but I’m sure someone clever is working on it. Favorite book: my own latest book, No Time to Lose! This entry was posted in Beyond the Classroom, People, Project Based Learning and tagged London School of Hygiene and Tropical Medicine, No Time to Lose: A Life in Pursuit of Deadly Viruses, UNAIDS, United Nations. Bookmark the permalink.